1. Put Power in the Hands of Franchisees. It’s no secret that one of the keys to franchise success is adapting to local markets. Franchise owners have unique franchise ideas base on a perspective on their community’s wants and needs. Armed with this knowledge, they can shape a local marketing strategy that’s a perfect fit for local customers—but only if they have the right support. Too often, owners with fantastic, unique franchise marketing ideas are shot down by their corporate leaders. Marketing executives worry that ideas aren’t brand compliant. In addition, they fear that after rounds of editing and approvals the offer is no longer exciting, or even relevant. These issues are easily solved with the help of customizable marketing templates, which let franchisees optimize marketing materials without threatening brand-compliance. With the right images, language and design, franchise owners can make any marketing campaign resonate with their local audience. There’s no better way to shorten the journey from idea to delivery! Customizable Marketing Templates Make Marketing Easy. Sales and franchise marketing managers get stuck in “damage control” mode. They’re constantly zoned-in on their least profitable franchise locations. In an effort to plug their leaks, they hammer on owners for explanations. Already struggling and stressed, these owners quickly offer up answers that sound more like excuses. It’s a dynamic that doesn’t lead to clear solutions, let alone unique franchise ideas. These conversations are important, however, there’s valuable feedback to be gained from franchises with positive profit margins. Of course, one-on-one conversations aren’t the only way to collect this feedback. We recently helped Krispy Kreme address this within their Brand Marketing Center with an entire section dedicated to franchise success stories. Franchisees share details on their most successful marketing efforts so others can learn from them. This information doesn’t just go to senior marketing management. 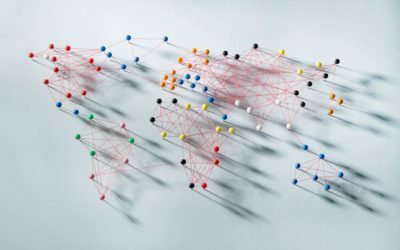 In addition, it’s shared with the entire network of owners so they can offer feedback and gain inspiration and unique franchise ideas for their future campaigns. 3. Leveraging the Power of Customer Reviews. Create dedicated Facebook pages for each franchise location. Ensure each page has a visible “Reviews” tab. High star rankings don’t just look good for business, they also mean each page will appear in more news feeds so online franchise marketing campaigns reach a broader audience. Verify the Google listing for each location. 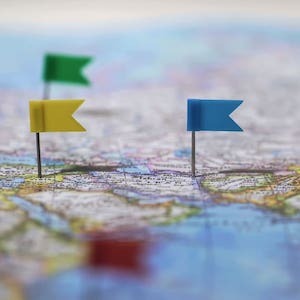 Ensure each franchise location has an accurate and updated Google business listing. Then follow this simple process to have the listing “Google Verified.” Verified listings appear alongside search results, making it much easier for customers to read and write reviews. Ask the right customers for reviews. Rankings on sites like Yelp can make or break a business. While you can’t offer incentives for positive reviews, you can encourage them by reaching out to the right customers at the right time. Use BlueSky ETO’s Automated Marketing Campaigns to trigger an email encouraging customer reviews to repeat customers. Those who visit often likely have positive things to say. Host reviews and testimonials on your site. This is a great way to highlight the specific benefits of each product or service offered. It also allows franchise marketing customers to target their reviews, so their feedback accurately reflects the correct item or experience. Direct negative comments back to the organization. When you reach out to customers proactively, you give them an internal outlet for discussing their concerns and frustrations. They’ll appreciate the individual attention and you’ll address their issues before they publish them on review sites and social media platforms. Find and respond to bad reviews quickly. Google Alerts and social media monitoring can help a franchise discover and address bad reviews quickly. First acknowledge the review and thank the customer for their feedback. Then get their contact information and continue the conversation offline. This can protect the brand from coming across as defensive or insensitive while showing the customer that their opinions and business are valued. 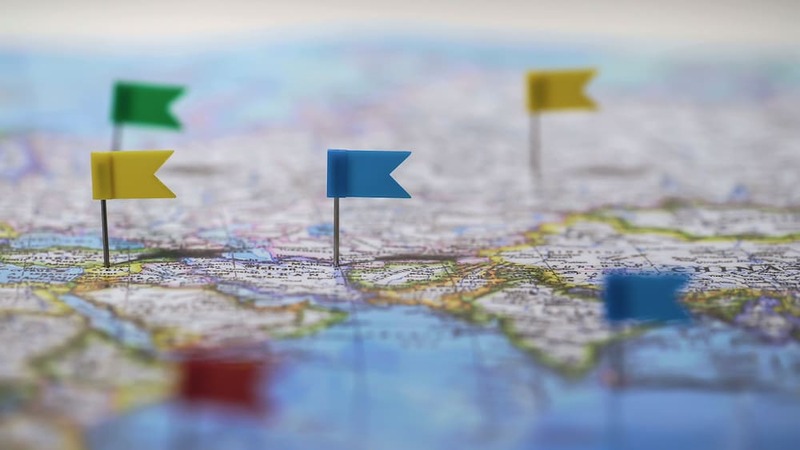 Franchise success is largely determined by how each location is viewed on the local level. Owning a clean restaurant with delicious food and amazing service will get you far. However, becoming an intricate part of the community will take you farther. Also, the more your brand is “seen” in the community, the more loyal customers you’ll earn. When approaching sponsorship at the local level, try to think outside the franchise marketing box. A pizza shop shouldn’t just pay to have their name on little league uniforms. They should also do something like supply free pizza to both teams after the championship game. A hotel franchise shouldn’t just sponsor a bridal show in exchange for ad space in a brochure. They should also raffle off a honeymoon suite for one lucky couple at the event. 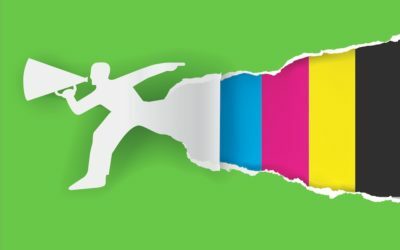 The more unique and unexpected your franchise idea, the bigger the impression you’ll make! Remember to use customizable marketing templates, which make creating multiple forms of local marketing easier while ensuring franchise brand consistency. The local police department is facing budget cutbacks. To thank them for their service and ease the burden on their families, a fast food franchise runs a “Burger for a Badge” promotion. Every officer who shows their badge at checkout gets a free burger for an entire month. 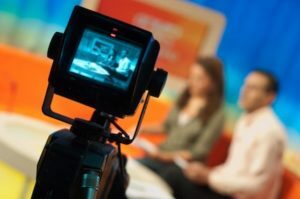 The franchise owner contacts local news stations who are covering the budget cutbacks, and stations share the deal on the nightly news. Therefore, the restaurant sees an influx of customers, not just from “blue” families but from those who wanted to support a business that supports its local PD. That’s a unique franchise idea! Keep an eye out for opportunities to leverage local events and issues in a way that supports your entire community, not just your bottom line. Building a superb local franchise marketing program can be challenging, but with the proper tools, your entire franchise marketing system is more effective, always on brand and consistently strengthening your community relationship to grow your business. Every organization is unique. Brand management solutions from BlueSky ETO harness that uniqueness and build solutions to leverage it for the benefit of the brand and franchisee simultaneously. It’s not easy to adjust and implement a marketing strategy on a national level, but it’s a lot easier with intuitive and adaptive tools. Let BlueSky ETO work with you to create solutions for your franchise business. 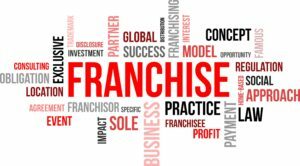 Franchise marketing success requires innovation with an effective balance of local marketing freedom and brand compliance. These tips are very informative and helpful. I want to incorporate these tips asap. Thanks for sharing. Thanks for this very informative article. So many good ideas and I couldn’t agree more that indeed communication is a key. This is very interesting and informative about franchise and how to rock it. I would expect the problem with branding and consistency is not an easy one to solve. Great article. Those are some great tips for franchise marketing. I love the idea of Facebook pages for each franchise location. I do tend to check on Fb before going somewhere. Communication should definitely be number 1! These tips can work with all businesses, not just franchises! GREAT post! Communication and responding to negative feedback quickly is important for any business. Love how quite a few of your tips can be applied to any small business- franchise or not. I love the idea of franchises really immersing themselves in their communities. Being a Hometown Hero is an excellent way of connecting with the city in which you run your business. These are such wonderful tips. I definitely agree that customer service and communication are so vital. Communication is vital to make all things successful. These are great tips. I don’t know much about franchise marketing, so this opened my eyes a lot. These tips are key to Franchise marketing and let’s not forget about monitoring Quality. Communicating different aspect of the business only helps in improving the services provided which lead to customer satisfaction. Great tips on being successful. The best one is thinking outside the box. It shows creativity and initiative. I am not really familiar with franchise marketing so I am learning a lot here. Communication is always the key anyway. They are all great tips that I shall remember just in case! These are all really great tips for being successful with franchise marketing. I agree that thinking outside the box is important. These are valuable information. Many of the local businesses are franchises. I, too, would want to franchise a small business and I will make sure to take note of these for my future reference. Great ideas! I wish our community had more people like you in it. I’ve never tried franchise marketing before. This makes a lot of sense though. I agree so much with the communication part. It’s important to let people see that you are open to talking especially with your customers. Great tips! Franchising your brand can be really profitable, as long as it is done right! Having a dedicated Facebook page for each franchise location is a great idea. I always look up a place before I try it for the first time. If I can not find them online I am less likely to go. Consistency for franchises is definitely important – particularly in marketing. It’s essential that the customer experiences are similar no matter what store they are in. The badge for a burger is such a cool idea. Policemen sure do deserve this. This is all new to me but very interesting. I never knew about what went into making franchising a success. Communication is definitely key in any kind of endeavor. Business and franchise marketing are no different.